Keyword Trends: Why are they Important? Home > Tech > SEO > Keyword Search Trends: Why Are They So Important? 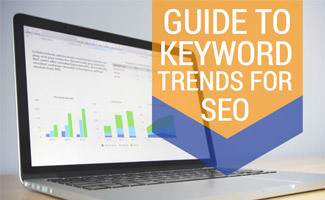 When it comes to online marketing and making the most out of your brand’s presence, it is important to understand keyword trends. Before starting any endeavor, there is data readily available that can show you the popularity history of a product, industry or specific term. The term keyword trends refers to the process of analyzing keyword searches to find which keywords are trending at the present time. Determining which keywords are currently trending for your product or service is important in being able to target marketing campaigns for the best results. Researching trending searches is an important first step to determine if interest in your industry is going up or down. 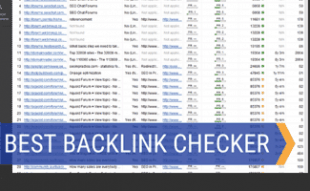 Below are two of the most popular and free keyword trend tools on the market. Without a doubt, Google Trends is one of most powerful tools for finding trending phrases. When you enter a term, a graph is provided that shows the popularity of term over a certain set of time. To some people, the way the data is presented is confusing because it doesn’t necessarily show how many people are searching for term. Instead, it shows how popular the term is compared to when it was at its peak popularity. The most popular time in history will be at the top of the graph and given a score of 100. Let’s take a look at some examples to illustrate this point. 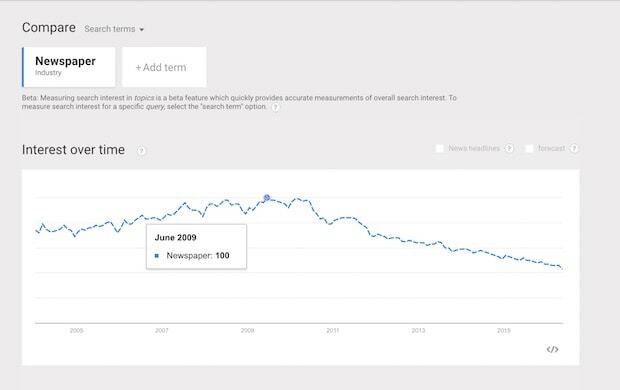 As you can see, interest peaked in November 2009 and Google Trends assigned a score of 100 for that month. You can then see how popularity has dropped since. This search term is more seasonal, but you can see that it is consistently growing. It peaked in interest in December 2015. With this data a user can gauge the popularity of a specific term, industry or product. You can look at it geographically and even compare many different terms at the same time. Google’s Keyword Planner was designed for online marketers looking to run Adwords campaigns. But within the interface is a powerful tool for finding trending keywords. While the Keyword Trends tool above gauge’s interest over time, Keyword Planner shows you the actual number of monthly searches for a term over the last 24 months (and there’s a setting that lets you go back as far as 48 months). This is useful to use in tandem with Keyword Trends so you can see if the term is gaining in popularity and if there are enough monthly searches to make your marketing effort worthwhile. 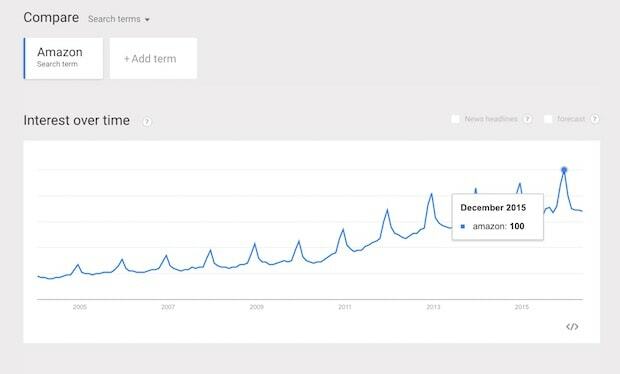 This shows us that the term Amazon has averaged 68 million searches per month over the last 24 months. It peaked in December 2015 with 101 million searches. The user can drill down on the results by picking locations and languages. Google’s Keyword Trends and Keyword Planner are two great places to start, but there are many other tools on the market that are not free that offer a more robust SEO optimization experience. Because finding the popularity of a term or industry is only the beginning step for keyword research. One most then research competition, implement the marketing plan, create the content and then track the results. There are many keyword research tools out there to help with this process. 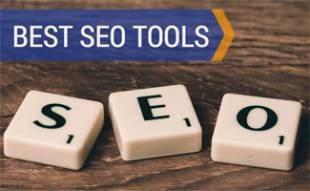 To learn more read our in-depth review of the best SEO tools on the market. 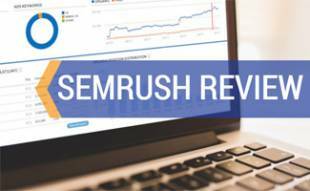 We highly recommend checking it out as you continue on your SEO journey. 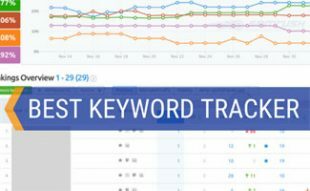 Have you tried Keyword Planner or Google Trends? Any other services for keyword search trends that you’d recommend? Whether it is setting up a home entertainment system controlled by a PC or geeking out on one of his many iDevice's, Jeff loves all things tech. He does not leave home without his iPad or his golf clubs. You never know when a good day might turn into a great one with the help of one (or both) of these trusty tools. Thanks Jeff, I have an online shop which has been doing well but is trending down lately and think I need to ramp up my SEO game so will use some of these tools.